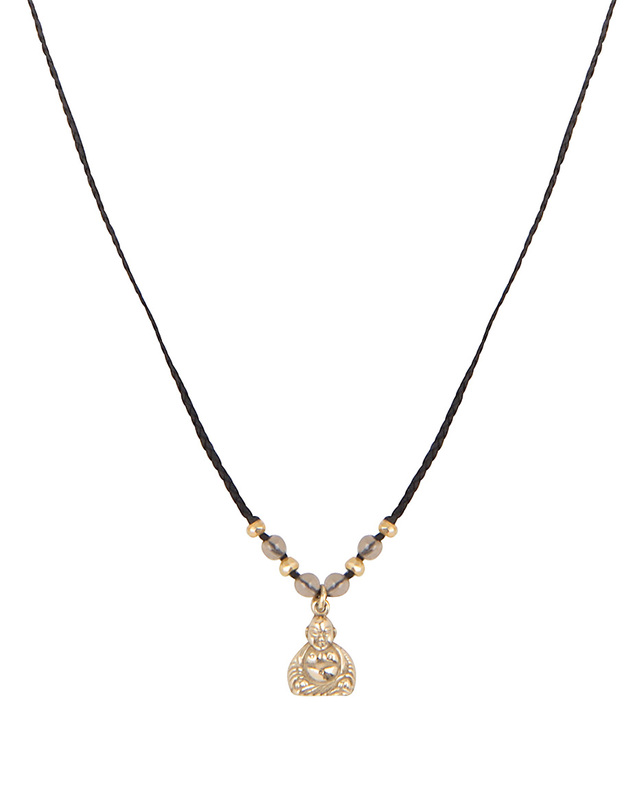 Black short Buddha necklace with mixed gemstones, the metal ornaments are 14 Krt gold plated on first grade silver. 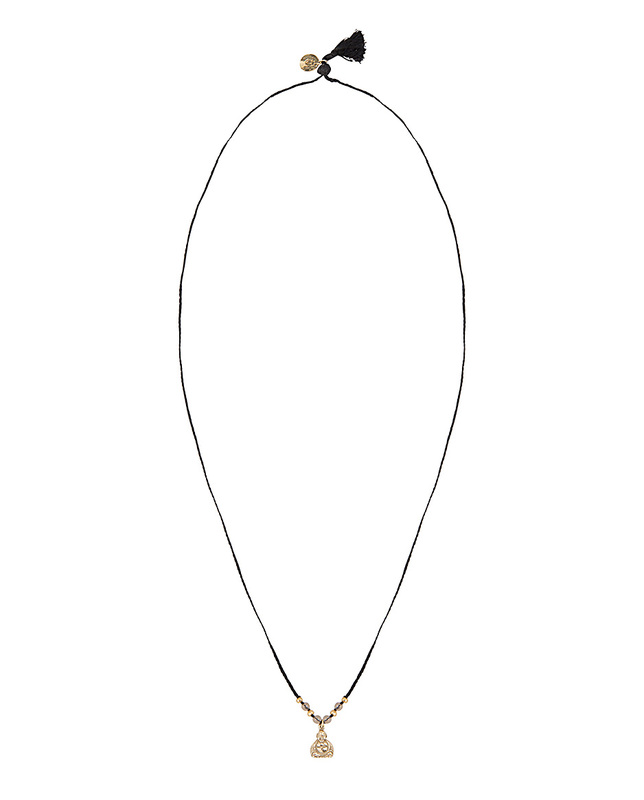 This subtle Buddha necklace is handknotted with luxurious gemstones. The Buddha figure, which creates spiritual development, will lead you to the insight where you experience the true nature of reality. The black thread in color psychology, gives protection from external emotional stress. 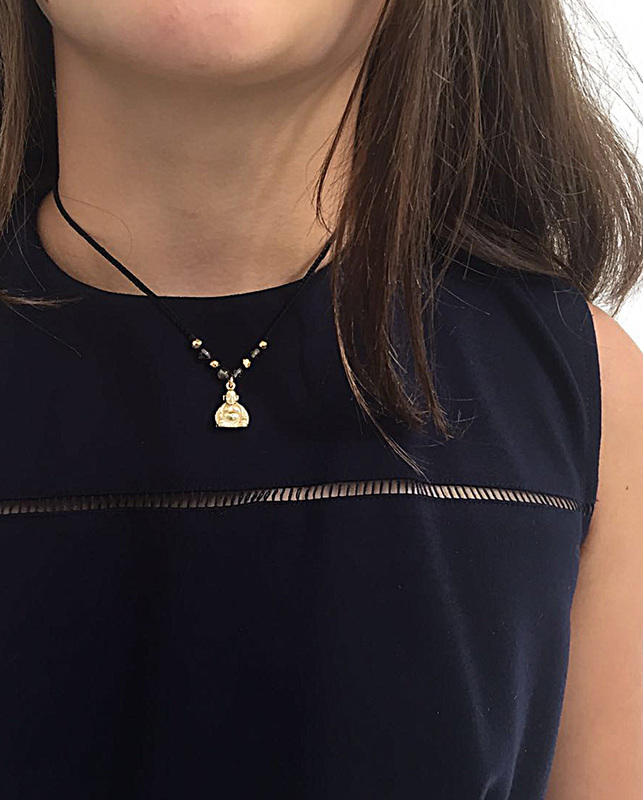 The necklace is adjustable, you can wear it short or long.